Temporary holding cells from FSS can be customized to meet a wide variety of requirements. We specialize in everything from custom lock boxes to tamper-proof hardware. 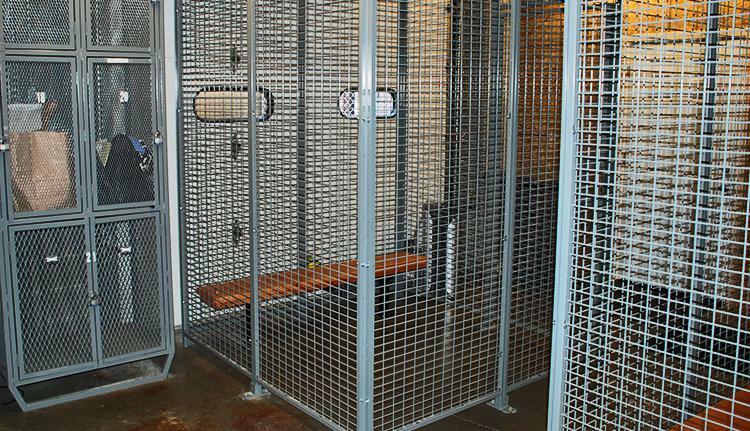 FSS offers various temporary holding cell options to prevent any unauthorized access. Ceilings are available for situations where the enclosures do not fit flush with the existing overhead structure. A variety of mesh options are available, including: 6ga welded wire, 10ga woven OR welded wire, as well as expanded metal. 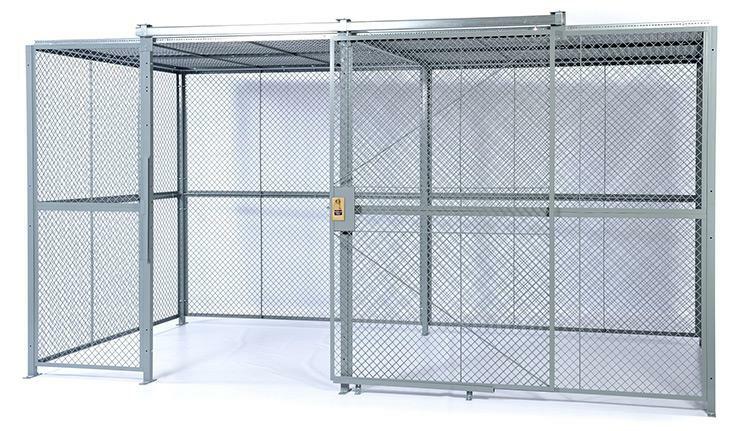 Like all of the wire partitions by FSS, the temporary holding cells are modular so the cages can be removed or modified when necessary. Posts come with concrete wedge anchors for attaching to the floor.